Shop Close Record’s own J Reese first solo album Every Day Living dropped in October 2006. Following that groundbreaking album came the collaboration album with md 1500 of Creative Vision put out. Rize was ushered into the public eye on November 2008. 2009 saw the second group album come to life. Rize 2: Still on Da Rize stunned the city of Beaumont, Texas with it’s release. Shortly after its release, J Reese, founder and CEO of Shop Close Records, was incarcerated for a little over a year. This setback put the release of his second solo on hold. Once released, J Reese finally released his second solo project Day to Day Living in 2011, rocking the city once again. 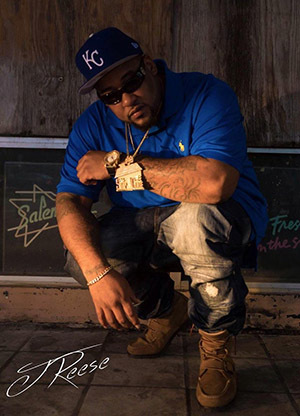 Blockstarz saw its debut in October of 2013, which is also the title of his upcoming mixtape titled Blockstarz 2: No Sleep. This album is on its way with smash hits like low low, day ones, and bricks, which currently are available as music videos. Contact BGE for pricing or booking questions at 404-977-BOSS or send an e-mail to info@bossgameentertainment.com.